Given how much I love to paint, this block should have been the very first one in the Make Art series. I think I was waiting for a moment of inspiration and motivation. It came to me as I unwrapped the recently-received brushes and paints. Very soon afterwards, I had the initial drawing finished. I designed it so all the elements in the pattern are independently pieced. That way they can be stitched in random order. One or more elements of this pattern can also be used for different projects. Earlier in the year I made a decision to spend more time painting and returning to photography as I missed them terribly. I stayed true to my word. I painted a lot more this year and started the Wandering Camera linky party. 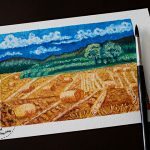 Instead of drawing with ink pens, I love to draw with quill pens because of the uneven lines they create. 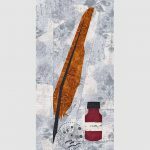 The Make Art series started with this Quill Pen quilt pattern. I also love to write, and I express myself best in writing. I have been using fountain pens ever since my third year of primary school. 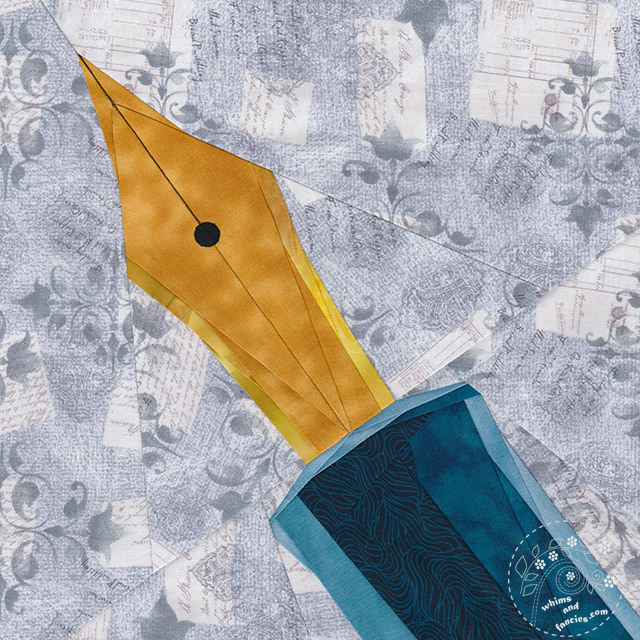 As I was sewing the quill pen, I knew this fountain pen quilt pattern had to be the next one. If you know an artist or a writer, they might love these. All the patterns are available in my Etsy shop. The colours in the Artist Paintbox are based on my own favourite palette. I am thinking of framing these blocks instead of quilting them or using them for other sewing projects. My husband has already claimed the fountain pen as he also loves to write. It will go off to live in his office. I have another plan for the quill pen which I will share later. This one, I am very sure, will go on an empty space on my atelier wall. Thank you for your lovely comments on the October Stories photos. 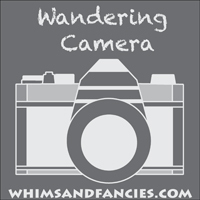 Wandering Camera linky party is still open. You can link up your posts here. Very pretty! I love that you designed it so each element can be used independently of the others. I still use the fountain pen my parents bought me for my 18th birthday. There’s something quite special about writing with proper ink. 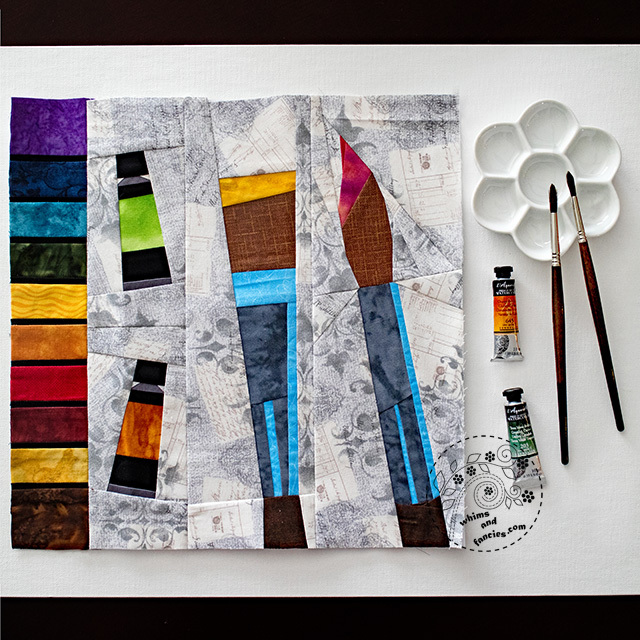 What fun…..combining your paints and quilting. Simply gorgeous!! I think they would be gorgeous framed! Your blocks are very beautiful, I love them. This new one is so lovely! These are wonderful. You motivate me. Oh yes… they are so good! You are very talented, and your paintings are so simple and complex at the same time. Nice job! Oh Soma, I wish I could paint like you, but most of all, I wish I could SEW like you. My wonky sewing is abysmal, I fear up against the beauties that you create. I am truly, truly, truly impressed with your work. Your pieces blow my mind (and that’s a good thing!). 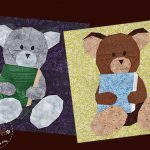 Beautiful drawing and quilt blocks! Really beautiful. The block is so well done. gorgeous fabric art!!! Happy PPF! Oh, good thinking on the stand-alone element to the pattern sections. I know I told you I have fond memories of my own fountain pen and retractable pencil set! That trees painting is exquisite. Love your stylish, beautiful painting on fantastic papers. The collection is very interesting. What a genius quilt, fabulous choice of fabrics. I adore everything about this superb creation. Thank you so much for the inspiration and sharing this delightful piece combining your loves. Love that paintbox and the soothing colours of the bookmark. I LOVE your fabric choices for your paint brush and palette piece. That is beautiful and great that is it done in sections so each piece can be used individually. 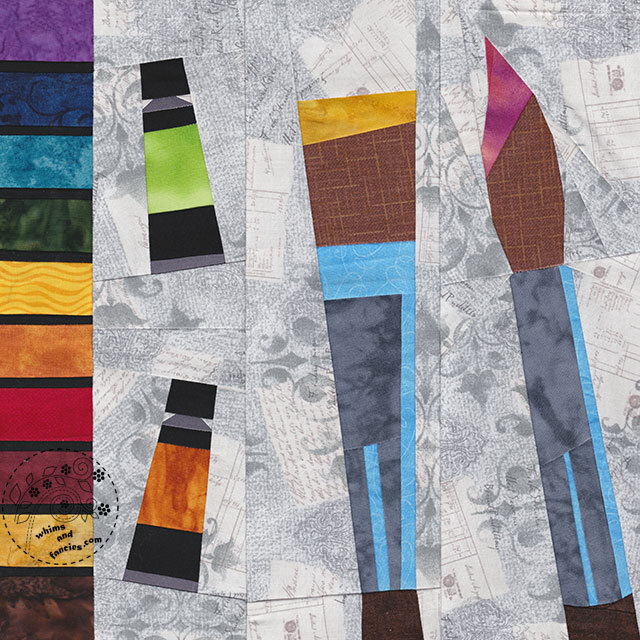 Of course, the pen and quilt are spectacular too. Astounding patterns and finished textile works of art! How beautiful they all look together. 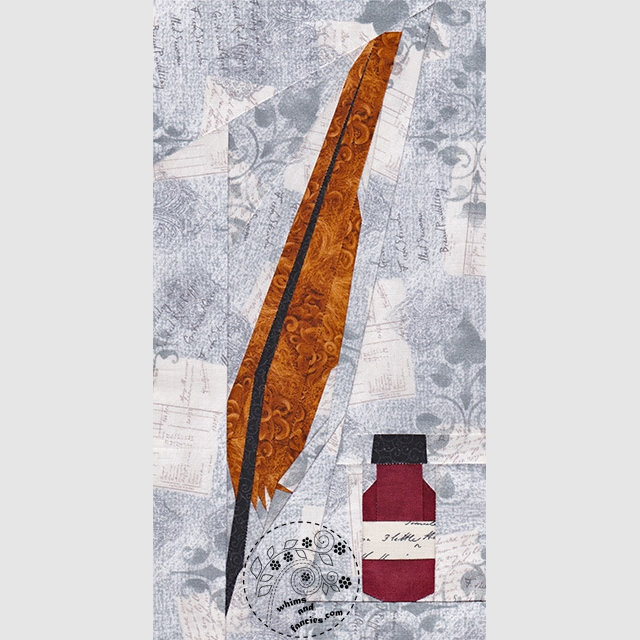 I rather love the quill and ink finished piece, too. So wonderful! Such meaningful objects for so many! Beautiful artists block, this whole collection is amazing. Have recently returned to fountain pen writing myself. A truly gorgeous artist’s block! While admiring it, I found myself naming the colours. I love the quill and fountain pens, Soma. 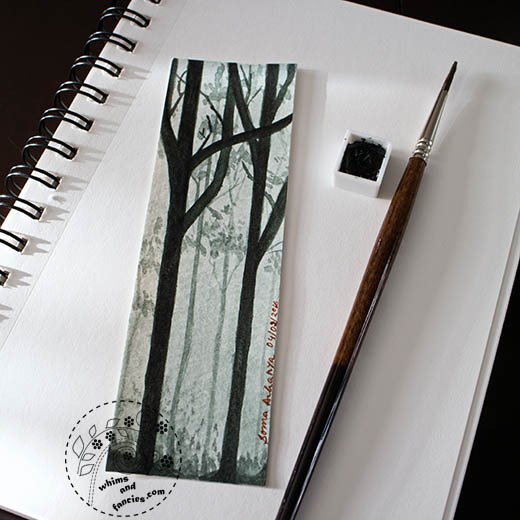 And your forest bookmark is a happy reminder of the wonder of nature and the seasons. What artist wouldn’t love that!